Exclusive Event for NJ Business Owners! What can you do to grow your profits today? How are you protecting your business and yourself? How are you planning to exit your business? Or are you looking to pass your business to the next generation? 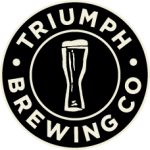 Refreshments include Triumph’s own craft beers and hors d’oeuvres.